It is believed that Johannes "John" Creiglow married Maria Catherine Hepperly and had at least 2 sons. 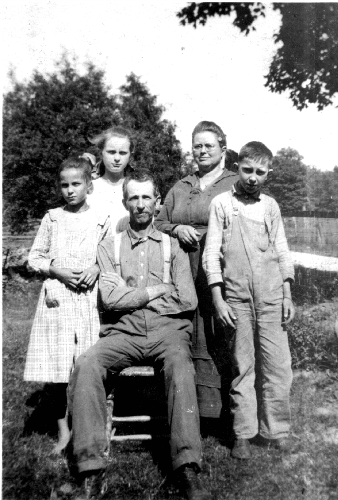 According to the 1840 and 1850 U.S. Federal Census, the two sons, David and Solomon, lived in Fairfield County, Ohio. The surname is found with various spellings. David and his descendants are found using the CRAIGLOW spelling most often. Solomon and his descendants are found using the CREIGLOW and CRAIGLOW spellings. Other spellings used include: Creglow, Creglo, Kreglo, Cragelow, and Creaglow. David Craiglow, Jr., the son of David Craiglow, Sr., enlisted in the Union Army during the Civil War. According to the Official Roster of the Soldiers of the State of Ohio, David enlisted, at age 27, on 12 Apr 1861. On 6 Feb 1862, he served with Company I, Ohio 43rd Infantry Regiment and mustered out on 13 Jul 1865 at Louisville, KY.
James Franklin "Frank" Craiglow, the son of William Henry Harrison "Bill" Craiglow, married Jennie Maybell Mason, the daughter of Thomas Mason and Emma Moss, in 1901. They are known to have 3 children: Mary Violet, Tracy Edward, and Emma Frances.